Not the sky, but yes onwards. Clarify where the hiking path goes. 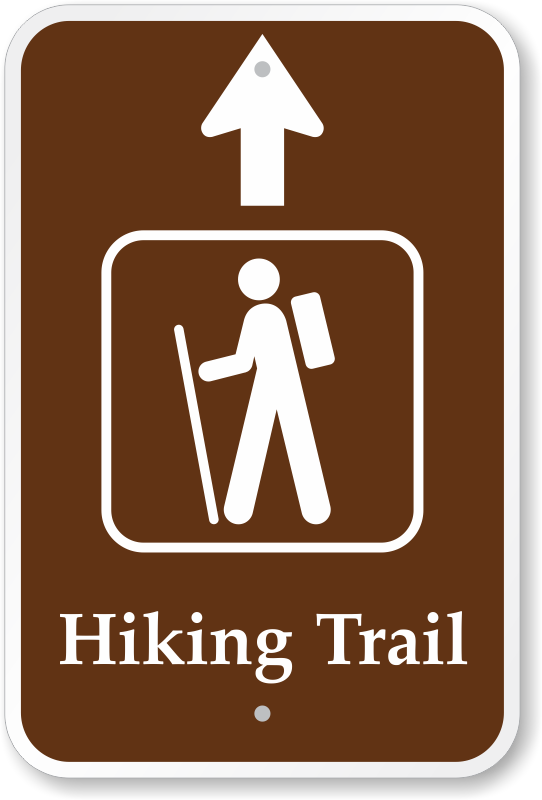 Choose from various grades of reflectivity, so hikers can see the arrow at night. Great sign, just like you'd find at the national parks.